Camille A. Brown is a storyteller. She speaks in many tongues: social dance, modern dance, clarinet, TED Talks, lectures, stage directions … the list goes on. But whatever languages she draws from, Brown’s art makes audiences want to listen. On her way to rehearsal for the new musical she is creating, Brown spoke with The Daily Californian about her company’s upcoming visit to Cal Performances. From Dec. 8-10, Camille A. 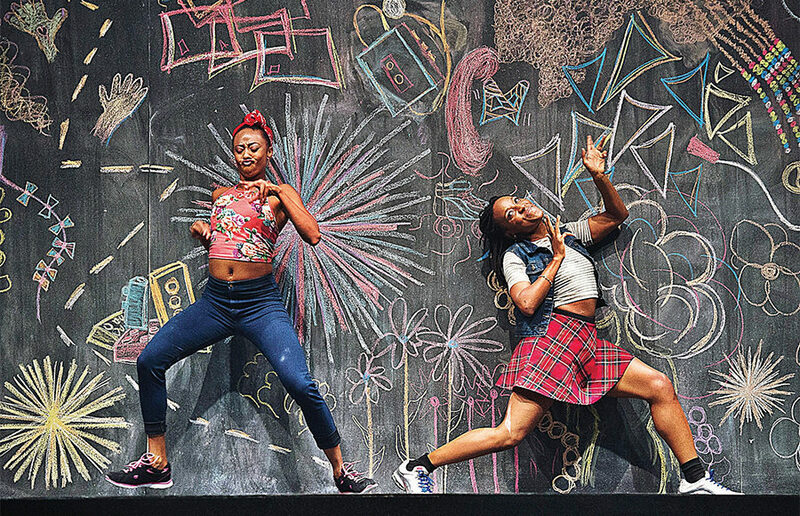 Brown & Dancers will bring “BLACK GIRL: Linguistic Play” to Zellerbach Playhouse. As with many of Brown’s works, “BLACK GIRL: Linguistic Play” is personal not only to her, but also to her dancers. They spent countless hours in the studio sharing stories about growing up as Black girls in different places. The trust she builds emanates into the work itself, leading to a deepened vulnerability on stage. Though Brown builds community with the dancers, she also expects a lot of them. Her dancers must have “a really full toolbox” in order to keep up with the many different styles Brown works in. All of her dancers are trained in ballet, tap, jazz and modern dance, but they also have to be comfortable with character work. In “BLACK GIRL: Linguistic Play,” the choreography is rooted in social dance vernacular and the many other creative modes that Black girls have developed to express themselves. Putting social dance on a concert stage, however, was no easy feat in a dance scene that privileges ballet and modern techniques. Part of Brown’s mission is to elevate the history of social dance, which is woefully too often ignored in dance education. Dismissing social dance as not technical enough erases the creative labor of Black dancers, whose ingenuity has produced a tapestry of social dance forms that are at the very fabric of American dance history. Camille A. Brown & Dancers claims a space for Black creativity on the concert stage as well as in the studio. As part of the company’s visit to Cal Performances, the company will host a social dance workshop that do the work of raising up Black vernacular forms in the minds and bodies of dance students. For more information about the upcoming workshop, public forum and performances, visit the Cal Performances website.